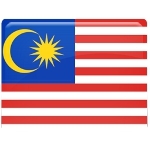 Independence Day (Hari Merdeka) is a national day of Malaysia that commemorates the independence of the Federation of Malaya from the United Kingdom. It is celebrated annually on August 31. In 1948, nine Malayan states and two of the Straits Settlements in Southeast Asia were united into a single federation, the Federation of Malaya. The Malayan Liberation Army immediately started a guerrilla war against the colonial forces (the so-called Malayan Emergency). In 1955, Prime Minister of Malaya Tunku Abdul Rahman led a Malayan delegation in negotiations with the British authorities for independence of Malaya. They reached an agreement in 1956: the British Empire agreed to grant Malaya independence. However, for administrative and logistical reasons, independence of Malaya was officially proclaimed on August 31, 1957. The ceremony was held at Stadium Merdeka in Kuala Lumpur, which had been specifically erected for celebrating national independence. The festivities were attended by over 20,000 people.